Companies that champion a “work hard, play hard” mentality benefit from increased employee productivity. After all, no one likes feeling miserable when they head into the office for the day. Even if you work from home, a drab day can drag down your overall productivity and drastically affect your performance and career in the long run. If maintaining a high level of productivity and your own sanity are important to you, creating a more enjoyable workplace may be the solution you need. To make a more enjoyable workplace, start with making your workplace more lively. Employers are also beginning to realize the importance of having a workplace where employees can have fun. In addition to boosting productivity and keeping business skills sharp, a workplace that encourages humor and lighthearted activities also helps build more trust within the organization. 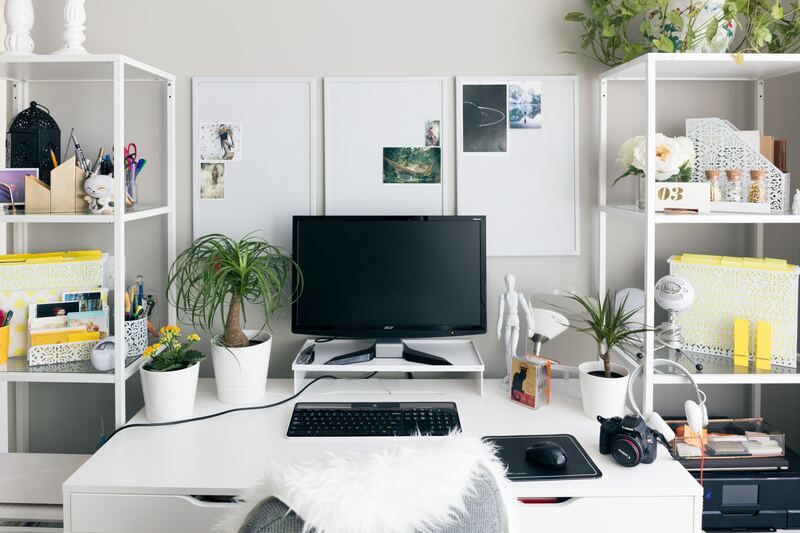 Generally, employers are relaxed about how you decorate your workstation as long as it doesn’t interfere with the workflow. Take some time to add a few personal touches to your workstation. Something as simple as keeping personal photos, including photos of your family members, can brighten up the workplace. You can add your own decorative items to the desk, such as a coffee mug or a pencil stand. While most people associate daily journals with intensely personal ventures, workplace journals can help keep you motivated. Many employers offer workplace journals that can be shared among employees. If your workplace does not have one, you can suggest it. 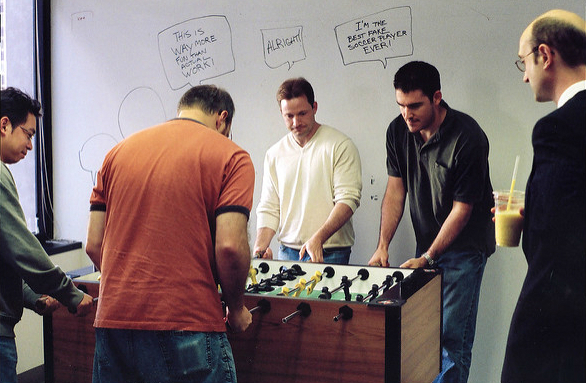 This helps develop rapport between employees and can make the workplace more fun. If a daily journal seems like too much work, a weekly or monthly newsletter will do just fine. You can contribute your articles, artwork, jokes and tips through the newsletter to make the workplace livelier. While office bulletin boards usually contain routine processes and procedures, you can add a few fun touches to them too. Decorate bulletin boards and include information that employees will like to share. Ask other employees to share notes, fun facts, tips and photos through the bulletin board. You can even set aside a bulletin board for fun stuff, making employers more likely to grant permission if you let the other bulletin boards remain as they are, dedicated to routine activities. 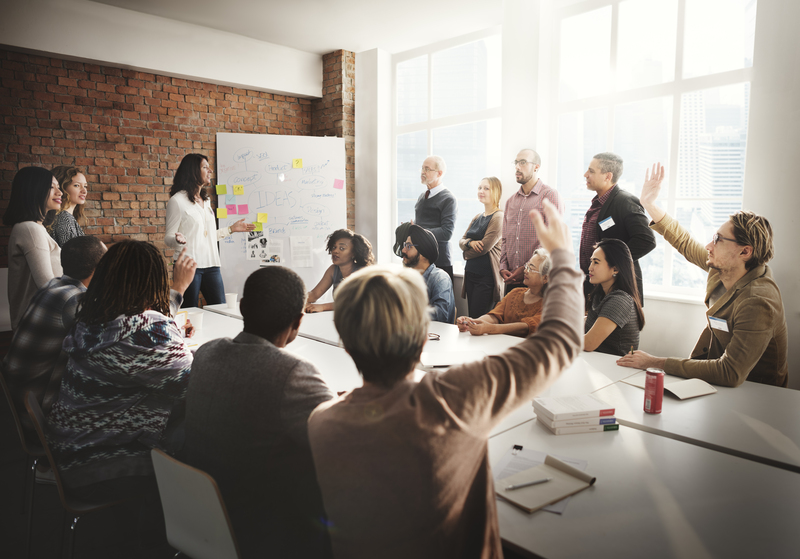 Employees dread staff meetings as they often quickly become dull or stressful. In fact, it isn’t even unheard of for participants to nap through the proceedings. This often leaves supervisors feeling that the meeting had zero outcomes. One way to deal with this problem would be to suggest fun ways to make the meetings livelier. This will ensure fuller attendance and more participation. 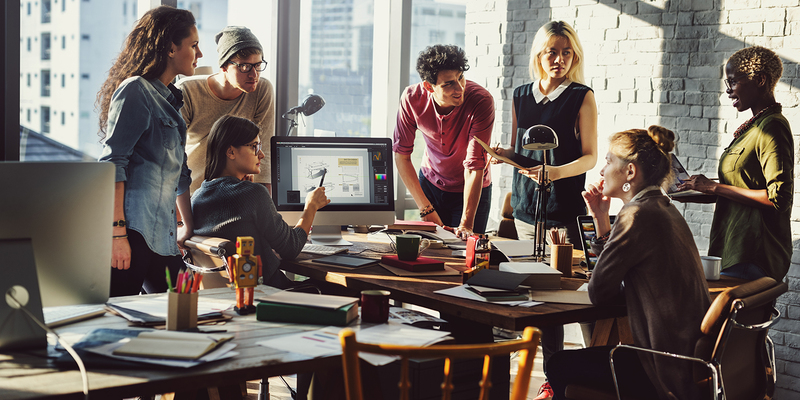 There are plenty of other innovative ways to create a more enjoyable workplace, build rapport, and contribute to better working conditions. You can use your creativity to come up with other methods to give a shine to your workplace. kitchen sink that will filter your sink this type of water.